After getting the big OOUK AG16 installed with all its accessories, camera, filterwhel, etc..we thought playtime was around the corner and we were going to image our hearts put. WRONG! the Collmation ( optical alignment) did not survive the trip to the observatory and we had to do something about it. Typically, a laser suffices to align a newtonian but not this time, the AG16 operates at F/3.6 with the provided 0.95x coma corrector/reducer which makes things very tricky. One of the issues you run into is the secondary mirror offset and all it entails to figure out and collimate the scope properly. After exhaustive research, we reached a point where only the best tools need to be purchased. 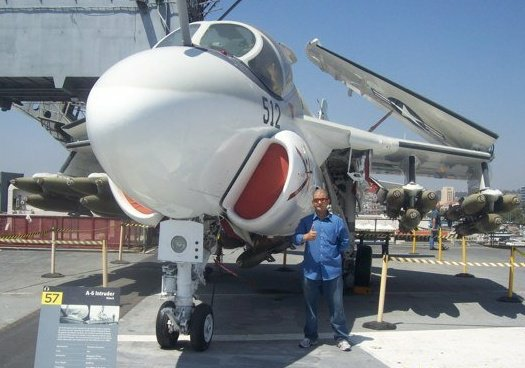 To that end, we reached out to Jim Fly from CATSEYE who provided us with ample information about why his product should be used and how. He provides ample information of his very detailed website linked above from graphs, images, animated GIFs, Youtube videos and so on. We ordered the tools and now awaiting some measurements Jim requires to obtain the best collimation possible. On of the best tools available in PRISM Pro and Advanced is its great scripting language that allows extensive capabilities. Alain Maury ( www.spaceobs.com) has written a great script that allows the user to take a series of images in sequence which allows PRISM to calculate the actual tilt in your system, the script is available here. The concept here is to perform autofocus runs ( V-curves) on 500 stars in your images one at a time. In theory and if your system is "flat" and exhibits now tilt at all, all the stars should come to focus at the same point As you can see for the image below, they do not which means, in this instance, there is tilt( other aberrations might be present as well but we suspect tilt is the culprit here). 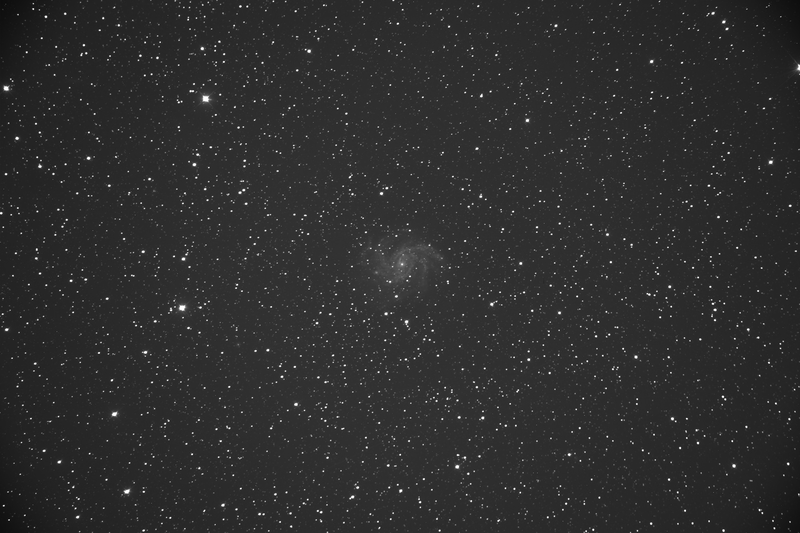 This scope is very fast coming in at a native ration of F/3.8 which makes tilt like this extremely noticeable. 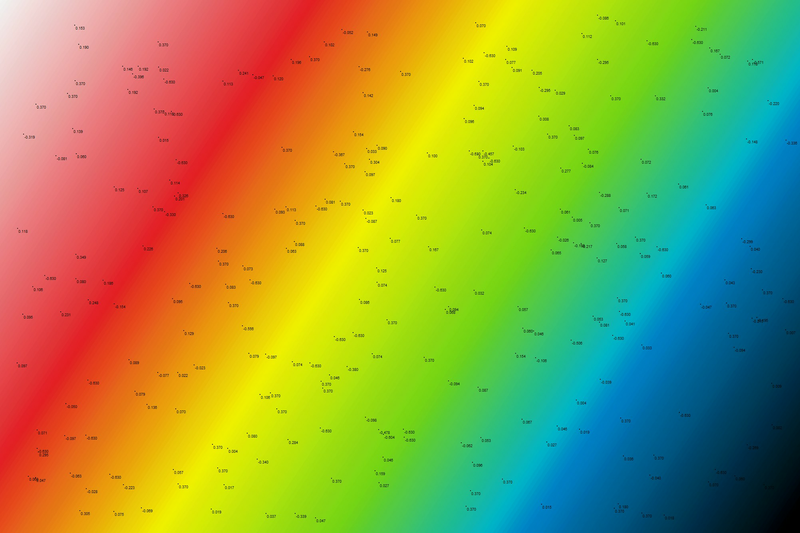 The image shows the output of the tip/tilt measurement tool in PRISM, all the numbers displayed on the image are the relative distances from the main focus point. 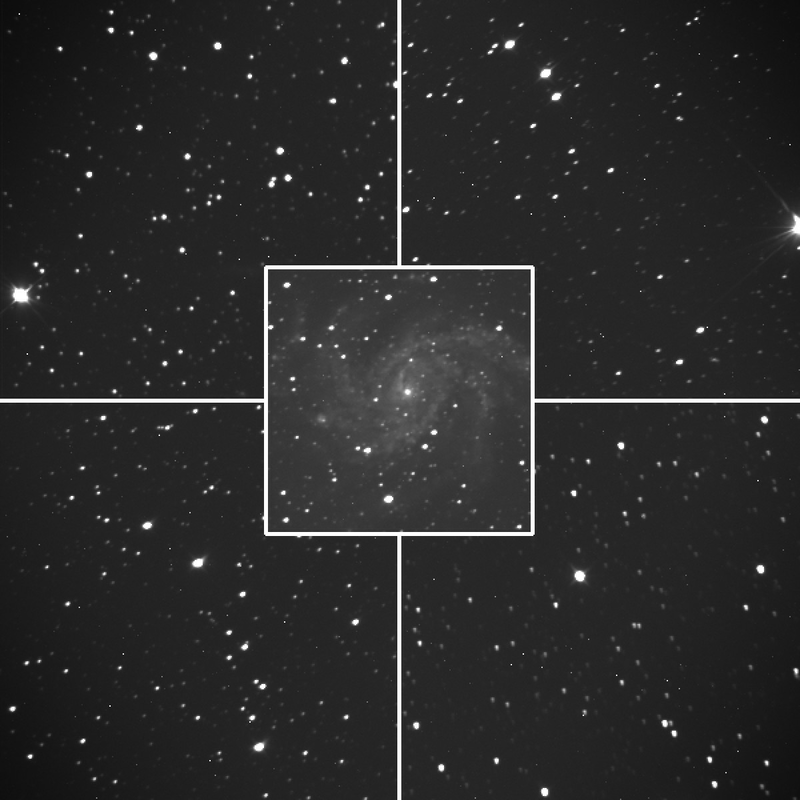 As you can see from the image below (NGC6946 - The Fireworks Galaxy), there are a few issues across the image. If you pan through the image, you will realize that the corners exhibits different behavior and we believe this is due to the secondary offset being incorrect as well as tilt in the focuser itself since it has a tip/tilt plate. It exists yet another tool that allows us to quickly check the center of the image as well we all the corners, you can find this under Analysis > Four Corner Reduction: Quick Collimation Checks. This is a quick way to quantify what is happening in your images instead of zooming in and panning across. This saga will continue as we unravel what is going on with this beautiful system and hopefully, we get performing at its best soon.